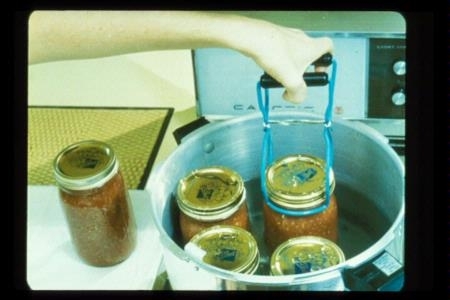 The National Center for Home Food Preservation is now offering online lessons for those who would like to learn more about home canning and preservation. The course is free and self-paced. Home canning can improve food security. Following food safety guidelines helps to insure quality. I have canned for years, but recently want to can using a pressure canner and hope through these classes to become more comfortable with the process. We hope these online classes help you with your canning goals -- let us know how it works out! Hi! I signed up about a week ago and still haven't heard anything - I'm so looking forward to taking this class! Thank you for your email alerting us to this problem. While researching I discovered that funding for the program is currently not available. They hope to restore funding at some time in the future. You are not alone! Many people are looking to learn how to can and preserve foods. UC ANR has several food preservation resources available through this link, http://anrcatalog.ucdavis.edu/CanningFoodPreservation/. The UCD Dairy Research & Information Center is also a great source, http://drinc.ucdavis.edu/. In addition the National Center for Home Food Preservation, http://nchfp.uga.edu/, and the Utah State University http://extension.usu.edu/utah/htm/fcs/food-preservation-canning/ are wonderful resources. I would like to learn how to can and preserve items grown in my garden. Contact Susanna Bruzzone-Miller at sbmiller@ucanr.edu. If anyone can give you that information, it would be Susanna.